Who: Open to all teachers and non-teachers, with a regular yoga practice. What: On successful completion of this course, you will receive a 60 hour Vocational Training Certificate in Teaching Yoga and Mindfulness to Children, with accreditation from Yoga Alliance Professionals. With this certificate you will be eligible for insurance to teach yoga to children in any setting. 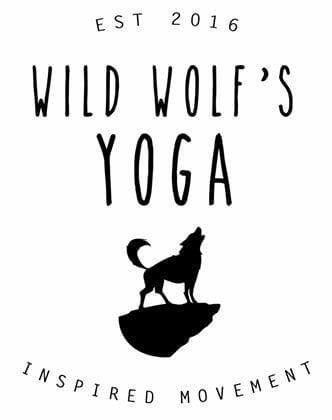 Ideal for Primary School teachers wanting to learn more about yoga and mindfulness and begin to share this with their pupils, as well as Yoga Teachers, youth workers, parents and carers, wanting to set up private classes. Why: Be inspired! Learn more about the benefits of yoga for children and begin to share with your children for greater physical and mental health! Deepen your learning and understanding of yoga and it’s benefits for a range of children. Become qualified in Children’s yoga, be the leader for Yoga and Mindfulness in your school, teach yoga to children in and out of schools. School teachers: with some knowledge and experience of yoga, who want learn how to begin to lead short yoga and mindfulness practices to enhance their classroom learning experience. Yoga teachers: wanting to expand and develop their teaching skills, with a desire to share the love and the physical and mental benefits of yoga with young people, in or out of school. Parents/ carers and yoga practitioners from other professions: who work with, or have a keen desire to work with children, to share the proven benefits yoga and mindfulness bring to their young lives. This 5 day course is designed with a strong focus on enabling teachers to provide yoga and mindfulness in school – as an underlying element throughout the school day, to provide in short classroom lesson breaks and as part of PE. Schools are encouraged to fund their teaching staff for the benefit of the whole school’s health and wellbeing. Pupil Premium and Sports Funds are most often used. Only limited places are available on this course. To apply for a place please fill out our Application Form. An invoice will be sent to the requested person within 48 hours of submission, which should be paid within 7 days. Schools/ teachers wishing to book multiple places on the course: please contact us with the number of places you wish to book. Each individual applicant must fill out an application form. For more information check out the website!